When you think of the Hawaiian islands, several images likely come to mind. You envision volcanic mountains towering over a lush, green landscape and a bright orange sunset over a peaceful beach. You might also picture interacting with friendly dolphins as you swim, surf, or snorkel in the Hawaiian wilderness. The island of Oahu is one of the best places in the world to see these creatures in the wild! Here’s everything you need to know about encountering dolphins on Oahu. Oahu is home to Spinner, Bottlenose, Spotted, and Rough-toothed dolphins. Between these four native species, seeing a dolphin in the wild here is very likely! We believe that encountering these creatures in the wild is the best possible option, though captive dolphins can also be found at Sea Life Park. Hawaiian ancestors lived as one with the land and sea, and that mantra is still widely influential on Oahu. The dolphin is considered by some to be a spiritual manifestation of the god Kanaloa, so it’s important to respect, protect, and act with caution around these wild animals! There’s always a chance you’ll see a pod of dolphins on your own while playing in the ocean (just a few steps away from your vacation rental on Oahu)! However, if you want to be guaranteed a dolphin encounter, book a trip on one of the island’s many wildlife excursions. Here are a few companies to try! Looking to get up-close and personal with these majestic mammals in their natural habitat? Dolphin Excursions is a good company to use for just that. These tours depart from Waianae Boat Harbor and travel up the western shore of Oahu in search of Spinner dolphins. Experienced, local naturalists (who are also certified lifeguards) will lead your excursion aboard a 34-foot inflatable boat. This remote region of Oahu is known for its clear, calm waters, so you’re in for a beautiful trip! Rates start at $130 per adult. This tour company is located just a few minutes away from all of our North Shore vacation rentals! Wild Side Specialty Tours is a fantastic choice for swimming with wild dolphins on Oahu! Awarded the Hawaii Ecotourism Association’s Sustainable Tourism Certificate, this company operates an environmentally friendly vessel captained by seasoned marine biologists. The best part of choosing this local company is that the captains know all of the best spots to swim with dolphins along the coast of Oahu! Six to 10 people can enjoy a charter together through this company. Trips start at $175 per adult. Another option for encountering dolphins on Oahu is Kahala Resort’s Dolphin Quest! Within the resort’s natural lagoon (which consists of ocean water), a family of Atlantic Bottlenose dolphins live and play. During a visit, guests have the chance to get up-close and personal with these friendly and sociable animals. Here, you can choose between several activity packages including the Dolphin Adventure, Dolphin Encounter, Kids’ Aquatic Adventure, and Premier Experience. Oahu is one of the world’s few true year-round destinations. Weather is nearly perfect (in the low 80s and sunny) for most of the year, so dolphins can be viewed during any season. As far as swimming with these creatures goes, the water is cooler and rougher between November and March, so experienced swimmers and surfers prefer this time of year. For most travelers, the shoulder seasons of April – May and August – November are ideal for encountering these beauties during a swim! Stay Near All of the Best Beaches to See Dolphins on Oahu! There’s no better way to become one with Oahu than swimming alongside the island’s native creatures! 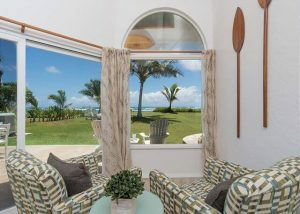 After a full day spent with the dolphins of Hawaii, you’ll want to come back to the comfort and beauty of a private vacation rental. 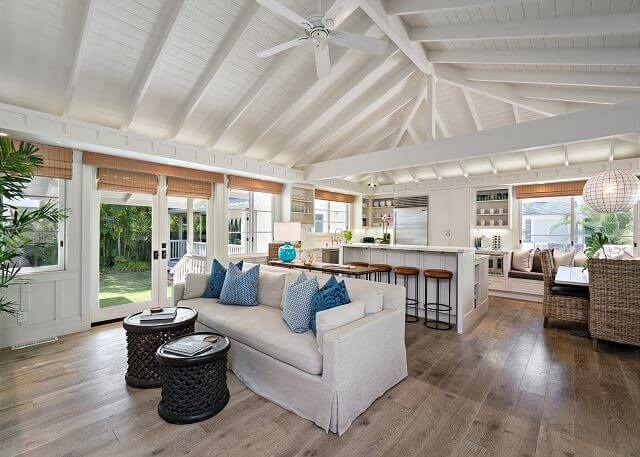 Each one of our bright and airy rentals boasts ocean views and premium amenities found nowhere else on the island. 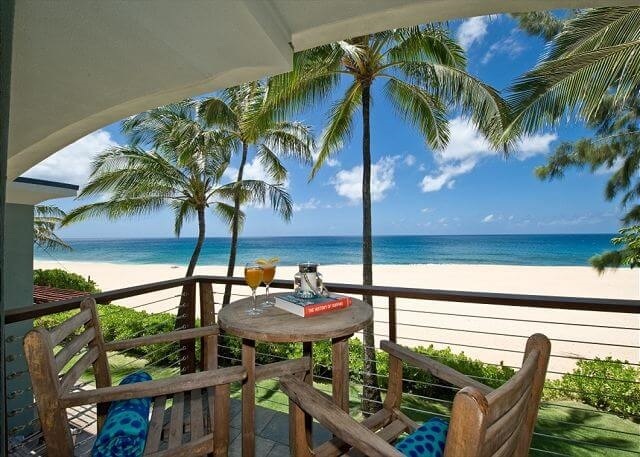 Hawaii Beach Homes is dedicated to helping you experience the spirit of Aloha. That’s why all of our open-air homes are just steps from the sparkling shore! 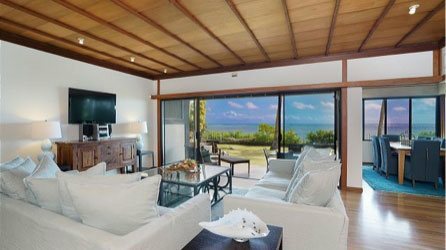 Choose between our North Shore, East Shore/Lanikai, and South Shore properties. No matter where you stay on Oahu, you’ll be just a short drive away from everything the island has to offer. Ready to check swimming with dolphins on Oahu off your bucket list? Reserve a private vacation rental today and start planning!